Pink's Hot Dogs began as a food cart in Hollywood in 1939 and has since expanded with locations around the United States. The ever-expanding King of Prussia Mall will soon have a piece of Hollywood royalty in its food court. Simon Property Group, the mall's owner, announced this week that the historic Pink's Hot Dogs will be arriving in August with more than 30 varieties for shoppers to chow down. Pink's got its start as a hot dog cart at the corner La Brea and Melrose in 1939. Paul and Betty Pink, both unemployed, replied to a classified ad for a hot dog stand and began what became a multigenerational business with about 20 locations in the United States. Celebrities including Michael Jackson, Orson Welles and Marlon Brando were known to frequent the Hollywood Pink's location, which remains a destination for tourists in Los Angeles. And the best news for the King of Prussia location? Pink's has a Philly cheesesteak special, a 9-inch stretch dog with grilled steak, grilled peppers and onions, American and Swiss cheese. 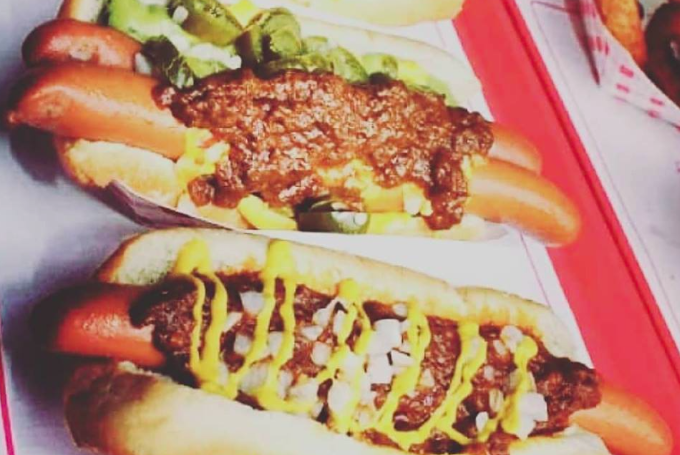 Look out for the new Pink's Hot Dogs at the King of Prussia Mall on August 1.